A hundred years ago, commuter rail lines took riders from Independence to places as far as St. Joseph and Excelsior Springs. Then in the 1930s a company called National City Lines, backed by corporations like Standard Oil, Firestone Tires, and General Motors, started buying up transit companies and tearing out streetcar lines, replacing the rails with gas-guzzling, tire-wearing buses, and the era of regional rail transportation ended in our area, as it did in most cities. Today, getting from Blue Springs to Independence using public transportation means a two hour plus trip on bus that first takes you to Downtown Kansas City and involves more than 20 minutes of walking. 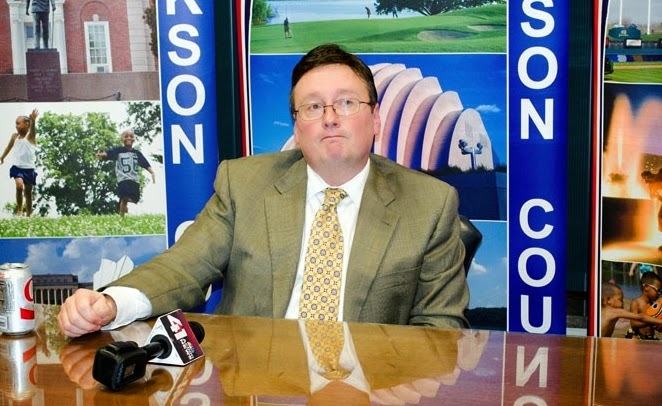 For an Inter-City resident who works a night shift anywhere, public transportation is impossible because the Independence buses only operate from 5 a.m. to 7 p.m.
County Executive Mike Sanders has a plan to bring back regional rail that would eventually connect Independence, Blue Springs, Lee’s Summit, Raytown, and Kansas City. The plan involves using existing, unused railroad lines to transport workers, commuters, and tourists around areas that are un-served or under-served by the area’s current public transportation services. The county has received $10 million in federal funds, and has until September 30 to raise $49 million through cooperation with the city governments in order to secure the rail lines that will get the project underway.